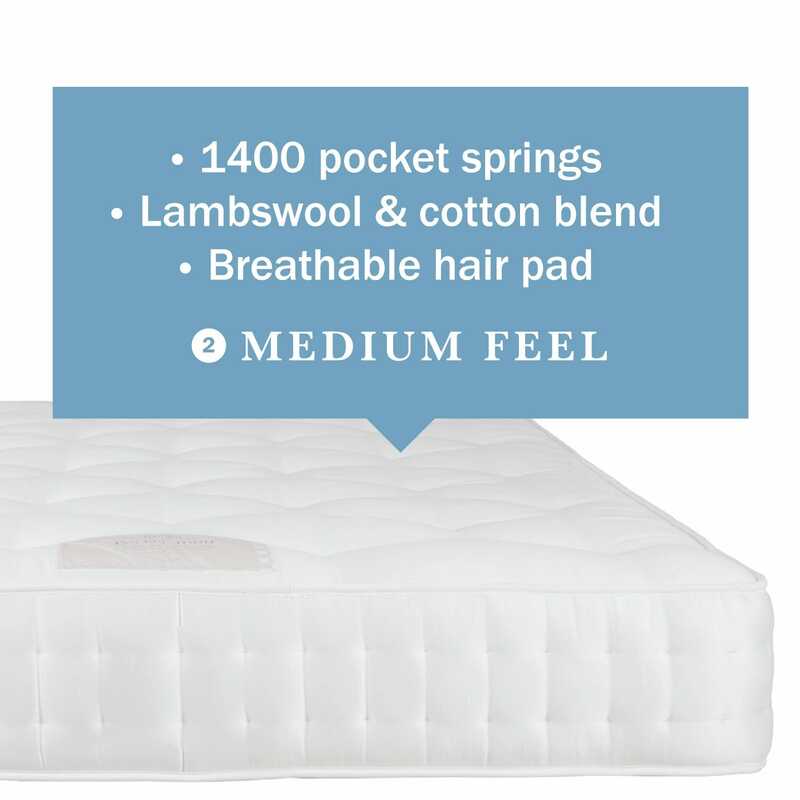 Tailored to your preference, our pocket sprung mattresses are layered with the finest fillings to provide a unique comfort rating. Your new Heal's mattress has been made by skilled craftsman using some of the finest materials available. Treat it with care, and your handmade mattress will last for many years to come. Once delivered, leave your mattress to air for around 4 hours and do so weekly between changing bed linen. Use a washable mattress protector to avoid discolouration and marking. Clean your mattress regularly by brushing or vacumming (using the upholstery attachment) paying particular attention to the tuft buttons where dust can settle. Let your mattress breath regularly by turning back the bedlinen for a few hours each week. Don't use the bed as a trampoline as this will cause irreparable damage to the mattress springs, filling and bed base. Avoid sitting on the edge of your mattress, particularly Pocket Sprung mattresses, as this can warp the sides. As a rule, never fold your mattress as this will affect the shape and evenness of the surface. Do not use a vacuum cleaner on your mattress as this can dislodge fillings, instead use a brush or cloth to remove dust and fluff. Turn and rotate pocket sprung mattresses every week for the first 3 months, then monthly thereafter. This is to allow the fillings to settle evenly and prolong the life and comfort of your mattress. No turn mattresses should be rotated each month for the first three months, and then rotated every three months thereafter. Memory foam mattresses help distribute body weight and reduces pressure points. It is quite normal for there to be softening and slight compression of foam under body weight. Do rotate your memory foam mattress every three weeks for the first three months, then every three months thereafter. Don't turn your memory foam mattress.